Megan, a self-proclaimed Stark Law nerd, makes complex healthcare issues easily understood for clients. 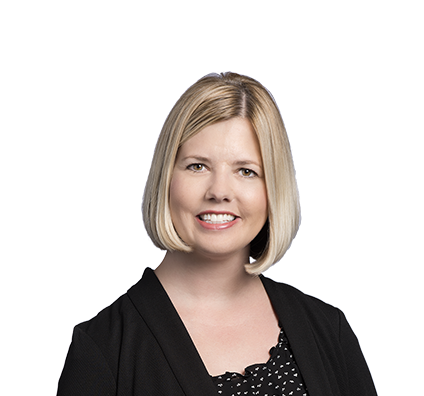 Megan works closely with clients, including large health systems, adult and pediatric hospitals, physician practices and wellness companies, to address complicated situations that arise under the Stark Law, Anti-Kickback Statute, False Claims Act and state laws. To assist clients with compliance, Megan proactively structures hospital-physician arrangements involving employment, professional and administrative services, physician recruitment, and space and equipment usage. When reactive situations arise, she assesses potential violations and recommends next steps. When necessary, Megan steers clients through the complicated financial analysis and legal process of self-disclosure to the Centers for Medicare and Medicaid Services and Office of Inspector General. Megan also has extensive experience in interpreting Medicare and various state Medicaid coverage and reimbursement provisions. Healthcare clients often seek Megan’s advice on Medicare and Medicaid payment and billing practices. In addition, Megan assists in hospital regulatory compliance investigations and works alongside clients to develop effective measures to alleviate future violations. She also provides guidance on general contract interpretation issues and disputes. Routinely advised adult and pediatric hospitals on compliance issues under Stark Law and Anti-Kickback Statute, including proactively structuring arrangements to comply with health care statutes and regulations, and providing guidance with respect to potential violations. Regularly advised adult and pediatric hospitals on Medicare/Medicaid reimbursement and repayment issues. Assisted adult and pediatric hospitals with routine compliance investigations, including development of appropriate resolutions related to billing and contracting issues. Assisted in representation of three-hospital health system facing extensive federal civil liability for physician compensation agreements. Resolved investigation with no criminal charges and no admissions of violating False Claims Act. Assisted in negotiation and settlement with Department of Justice (DOJ) on alleged Stark Law violations by multi-hospital health system. Negotiated settlement amount was much lower than what federal government initially requested and included broad release on scope of conduct covered. Assisted adult and pediatric hospitals with Stark Law self-disclosures made to Centers for Medicare and Medicaid Services using physician self-referral disclosure protocol. Advised multi-hospital health systems on all aspects of physician contracting, including contract development and negotiation, regulatory analysis and operational considerations. Worked regularly with valuation experts to assess fair market value compensation under employment, professional services and other hospital-physician affiliation arrangements. Assisted with obtaining advisory opinion from OIG on Anti-Kickback Statute implications of proposed arrangement, including initial submission of request and subsequent negotiation of opinion with OIG. Megan Phillips and David Pursell Contribute to "Avoiding Fraud and Abuse in the Medical Office"
Dramatic Changes to the Stark Law Announced: Is Your Organization Ready to Respond? Megan’s personal time is dedicated to her active family. 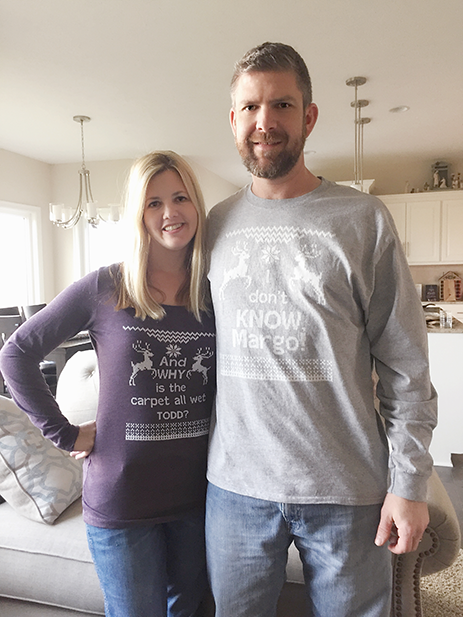 Megan is married with three children, a daughter and identical twin boys. A true soccer mom, she spends much of her free time driving the kids to team practices and watching them play in competitive soccer games and tournaments. 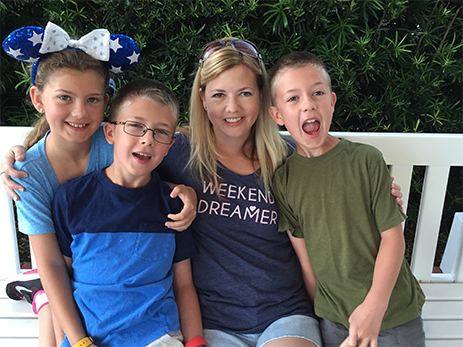 Outside of sports, Megan and her family enjoy movie nights, playing board games and vacationing at Disney World. Megan, her daughter, and her identical twin sons.